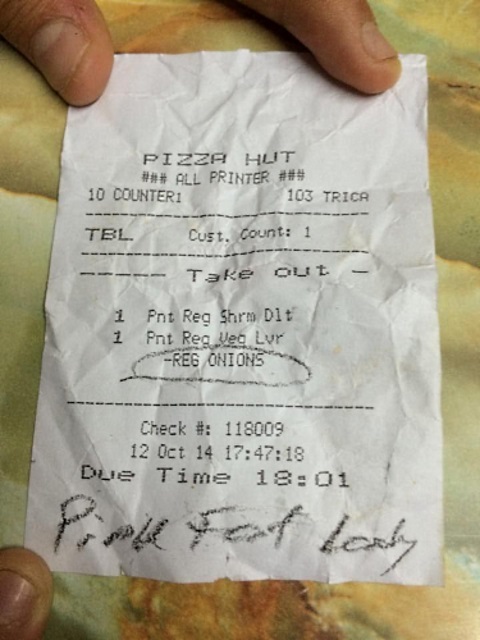 Eat Pizza Hut Singapore Apologizes for Labeling Customer "Pink Fat Lady"
Pizza Hut Singapore Apologizes for Labeling Customer "Pink Fat Lady"
Plus a few more times people got bullied via restaurant receipts and checks. Front-of-house restaurant jobs come with certain challenges, like keeping all your customers straight in your head. After all, you don’t want to give a hot fudge sundae with extra nuts to the guy who just told you he has a severe peanut allergy, right? But there’s absolutely no excuse for what Pizza Hut Singapore customer Aili Si allegedly got when she went to pick up some pizzas. This isn’t the first time a customer has gotten a side of sonning with their restaurant order, and it probably won’t be the last. 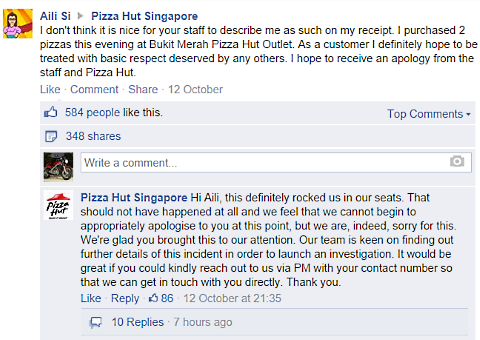 Pizza Hut Singapore is lucky it’s only dealing with bad publicity; some angry customers have sued over insulting receipts at other restaurants. 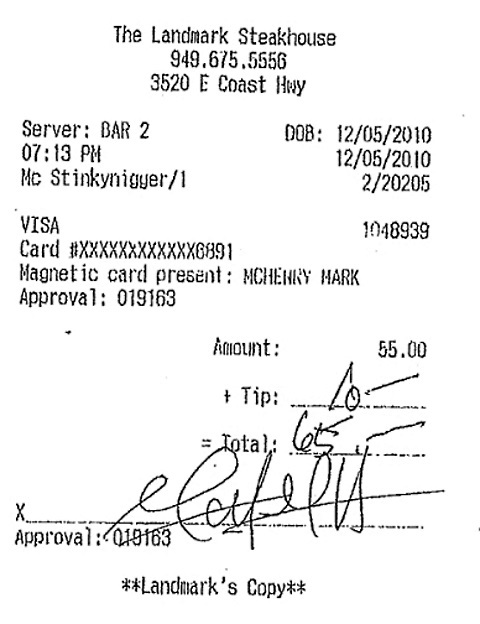 According to the OC Weekly, other receipts McHenry had received from Landmark addressed him as “McNigShit” and “McCottonwood.” You know, in case anyone missed the overtly racist tones the first time. 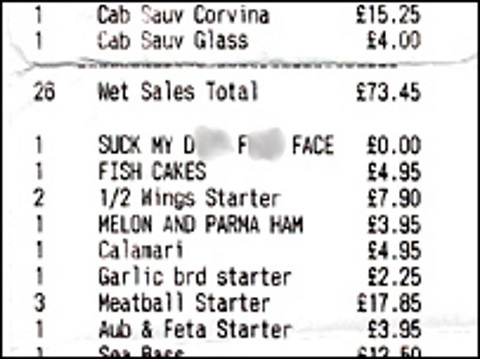 Joe Delucci’s, Lichfield, Staffordshire, U.K.
After customer Clare Watkin’s party apparently had the audacity to complain about bad service, they received the above receipt from Joe Delucci’s Italian restaurant in Lichfield, Staffordshire, England. Were they out of line to complain about bad service? Cactus Joe’s, Halifax, West Yorkshire, U.K. While the people at Friendly’s took the parents to task, Craig and Kimberley Cartin in Halifax, West Yorkshire, U.K. actually had their two-year-old daughter called out on their receipt. Apparently service was slow, and two-year-old Molly was being honest about being upset, reports the Daily Mail. 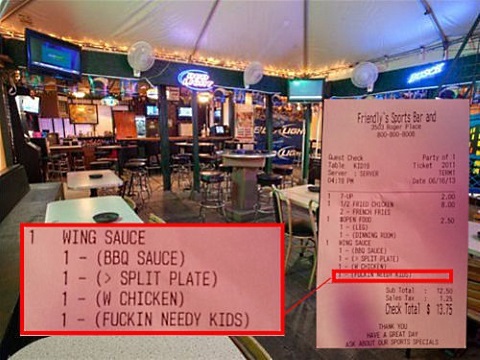 Her parents don’t believe that warranted “Thankyyoulittell Fucker” as the final itemized line (offered free of charge) on the receipt. The restaurant had been open for less than two weeks when this happened. 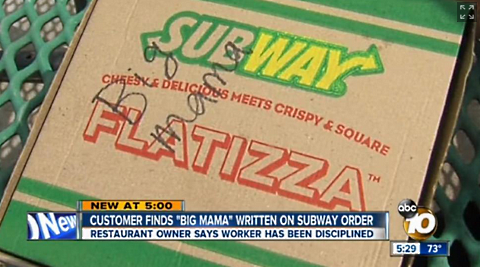 Even if you’re an employee who thinks you’re just making an inside joke, we’re pretty sure the only time you should ever write anything rude on a receipt is when you’re ready to quit your job and you just DGAF anymore. Unless you’re just stupid.